Contrary to a popular story about the creation of Nao Spanish porcelain figurines – that Nao pieces are really just Lladro seconds, the Nao brand porcelains started life in 1967 under the name of Rosal. Which in turn was renamed Zaphir in 1975. Then due to the success and popularity of the pieces, both in the United States, and internationally, Zaphir was renamed Nao. 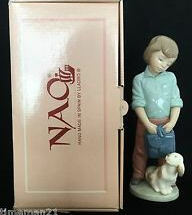 The “official” version of Nao’s beginnings, which comes from Nao itself, is that, in seeking to expand their company, the Lladro brothers bought a small porcelain factory near their home city of of Valencia and began collaborating with the best local porcelain artisans to define a style that would look less sophisticated than the Lladro image, but would instead represent creations full of charm and innocence. This new line was branded Rosal. 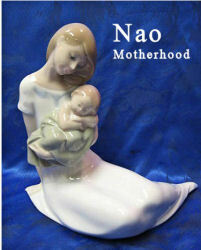 But… there is another version of Nao’s beginnings that comes from one of the Lladro brothers. According to a passage from a 2002 memoir by José Lladró, Passenger of Life; Memories and Opinions of an Entrepreneur (Spain: Editorial Planeta, 2002), the beginnings of the brand that would become Nao actually started with the defection of three Lladro staff members. In a chapter called “A Providential Conflict,” Lladró describes how, “in the mid-sixties,” two of Lladró’s sculptors and one of its chemists turned renegade and struck out to establish their own competing factory in Chirivella. José Lladró’s account makes it clear the brothers saw these new products as a threat to the dominance of their Lladro brand, and they decided to fight fire with fire, setting up their own rival brand to go head to head with the renegade company (in his book, José Lladró, never names the renegade’s brand name). This occurred in 1967, and the new brand was named Rosal because, according to José Lladró, the brothers did not want to involve the Lladró name into what was sure to be an ugly competitive fight. The brothers were right, it did turn into an ugly and public competitive fight, including a messy law-suit in which Lladró prevailed and ended up buying out the renegade company. To quote José Lladró, “That company turned out to be unimportant to us and closed down shortly afterwards” (José Lladró, p. 98). Rosal, meanwhile, “became the seed of what today is Nao, our second brand” (José Lladró, p.99). Apparently the primary purpose of the Rosal brand was to squash the renegades brand, and the brothers were unsure if the Rosal brand would be successful, because the first Rosal mark was just a stick-on tag. And the fact that the country of origin was noted as ESPAÑA, indicates they did not plan the line for export since the U.S. import laws have long required that the country of origin be identified in English. However, the collectible porcelains website, El Portal Porcelana, offers another explanation of the relationship between Nao and Zaphir. Their version of the Zaphir history is that it was a separate factory in the Valenica region, and the sculptor for this brand was none other than Jose Puche, one of the famous core Lladro collection sculptors. The first Zaphir catalog was in 1978, and the Zaphir brand ceased existence in the early 1980’s, (which does correspond with the introduction of the first Nao factory stamp, but does not correspond to the official Nao version that Zaphir started in 1975). The Zaphir factory mark was a stamped mark, and was only recorded as a stamped mark. Curiously, the official time-line for the birth Nao, and its marks, is contradicted by physical products, (more on that below), but here is the design progression of Nao’s factory stamps, (back-stamps), as Nao lists them. *There may not be any real confusion about Nao’s historical time-line, and factory stamps and marks at all. The issue may be just a case of Nao’s official history and marks data being abbreviated on their site. Here are some examples of other Nao marks and stamps taken from authenticated Nao pieces. It also illustrates the style of the impressed Nao mark used in the early productions of the mid-1960’s. 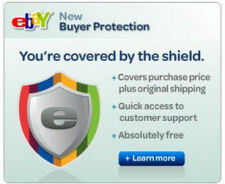 The fact that this styled mark did not impress well may have been why it was changed to a back-stamp. This Nao back-stamp was semi-authenticated by experienced porcelain collector Peggy Whiteneck at El Portal Porcelana.com. It was found on a porcelain piece that Peggy was fairly certain was an authentic early Nao figurine. She thinks the missing letters of “Spain” may have just been a production mistake, and that the cobalt blue color might have been used in the transition period between the early 1960’s impressed mark, and the early 1970’s dark brown back-stamp of the design. 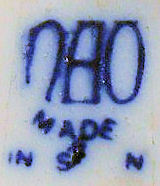 Although very similar to the “official” 1982 Nao back-stamp, (shown above), this mark has a slightly different layout, (note the higher position of the word NAO), and is clearly dated 1978. And again – although very similar to the “official” 1996 Nao back-stamp, (shown above), this mark appears the same, but is clearly dated 1988. It is thought that this design was in use from the mid to late 1980’s, all the way up to when it was designated as official in 1996, and replaced in 2003 with a more streamlined version that dropped the word “Lladro” from the stamp. It should be noted that while a recognizable stamp or mark can authenticate the origin and maker of a piece of collectible porcelain, the absence of a mark or stamp does not mean a piece is not authentic. 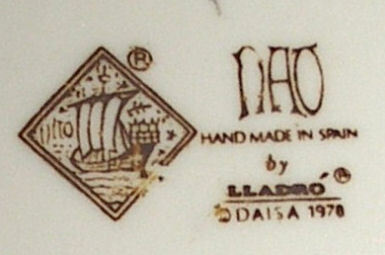 As with many porcelain makers and factories, some early production pieces are not marked. It is typical for makers not to worry about maker’s or origin identifications until the line becomes a collectible success. 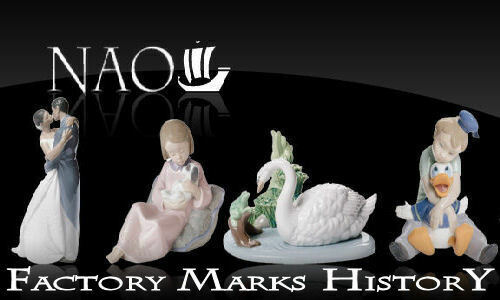 This was the case in almost all of the Lladro-associated lines of porcelain figurines and pieces. Lladro, Rosal, and Nao. Nao by Lladro Figurines Categories. 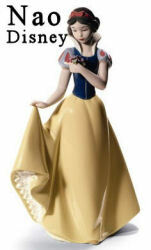 Looking for a special Nao by Lladro figurine or porcelain piece? 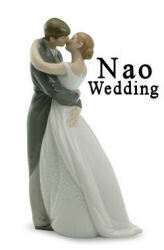 See ALL Nao by Lladro Figurines on Amazon now!